on Wednesday evenings from 6:30-8:00p. To radically fall in love with Jesus, to follow Him recklessly, and live in a relentless pursuit to make Him known. 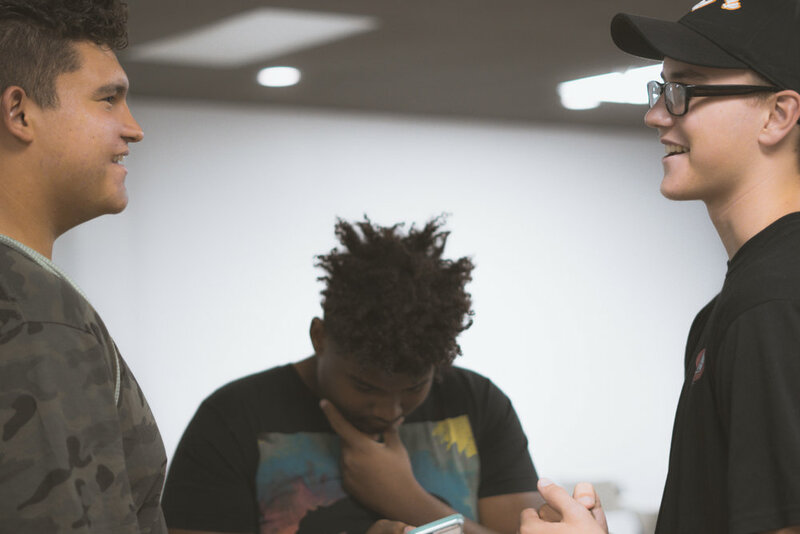 Our call is to be committed to helping the youth to fall radically in love with God as they come to know Him in His Word, character, and promises. God has called us to be a ‘do something’ people. Our heart is to help every youth and the body of Christ to discover what God created them to do and then equip them in how to do it! Jesus told us, unless you abide in Him you can do nothing! Doing starts with abiding in Christ! Our heart is to help each youth/disciple to learn to abide in God/Jesus daily through worship, prayer, fellowship and being in the Word! Our heart is to see each disciple/youth of Christ madly in love with Jesus Christ, to properly equip them with rock solid truth. Then unleash each disciple/youth into the community, in which they live, eat, sleep, go to school and work, to spread the love of God and change the world around them by the power of the Holy Spirit! Get ready to get rocked by Jesus so then you can go and rock the world for Jesus and make an impact for eternity!!!! contact Pastor Taylor at 760.360.0686 or taylor@thegardenfellowship.com.